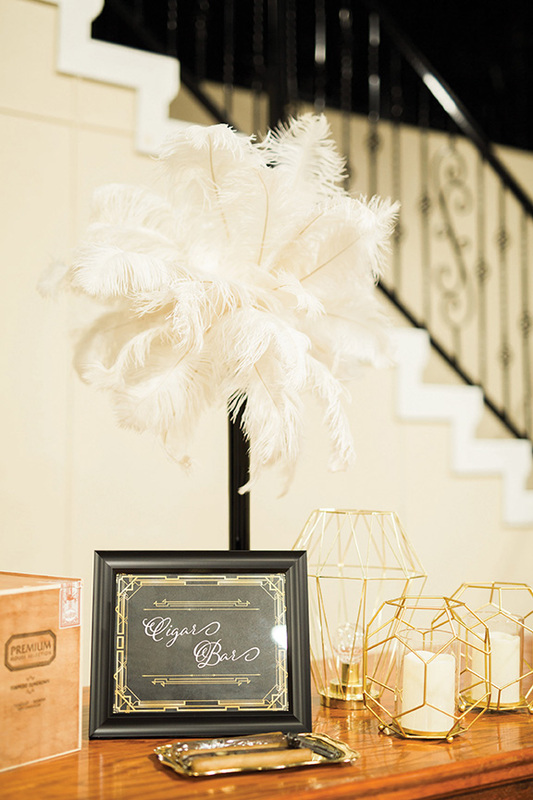 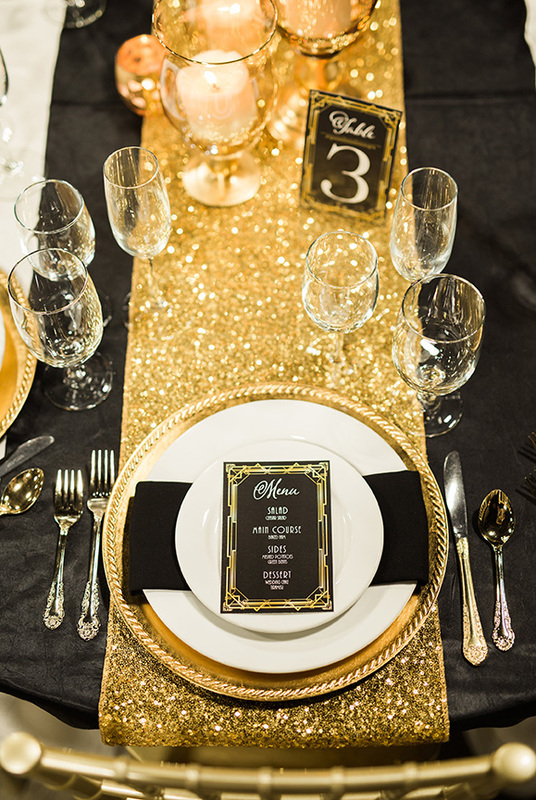 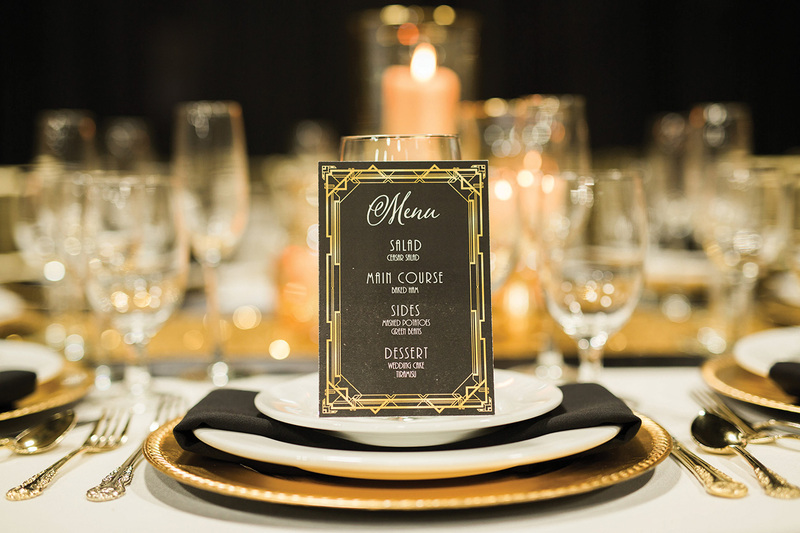 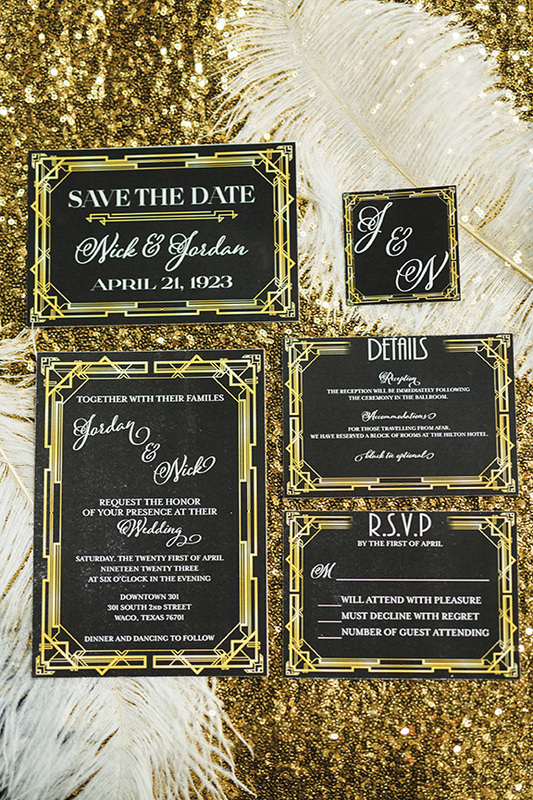 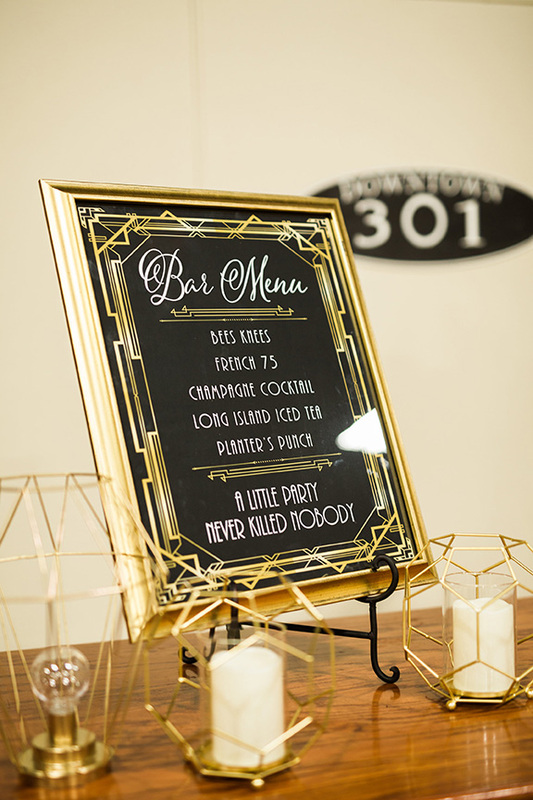 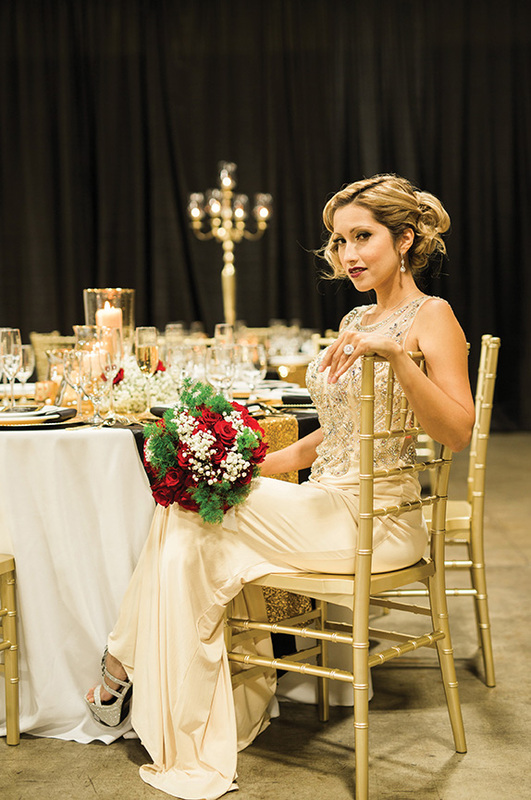 The Roaring Twenties are alive and well in this Great Gatsby-inspired styled shoot. 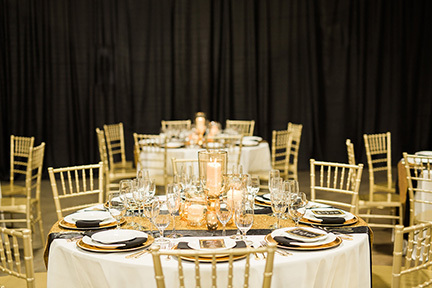 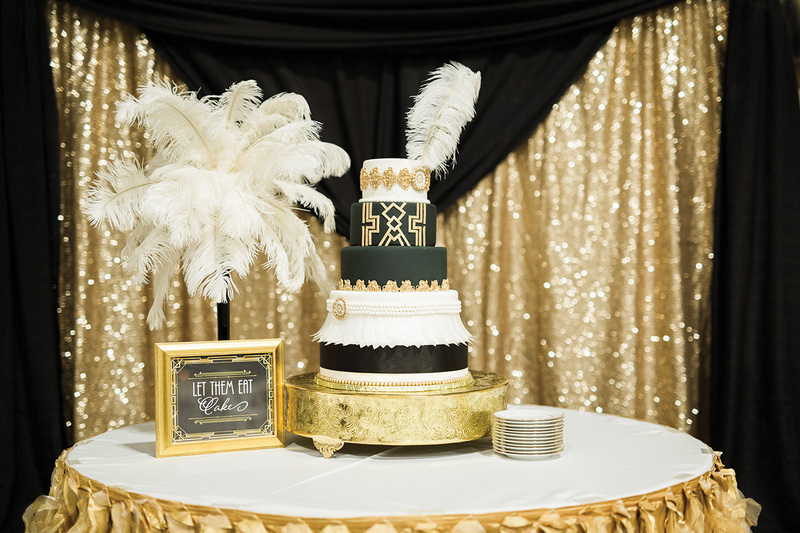 From the black and gold Art Deco touches to the feather-topped wedding cake, this glamorous event will provide inspiration to any bride and groom looking to include old-world elegance. 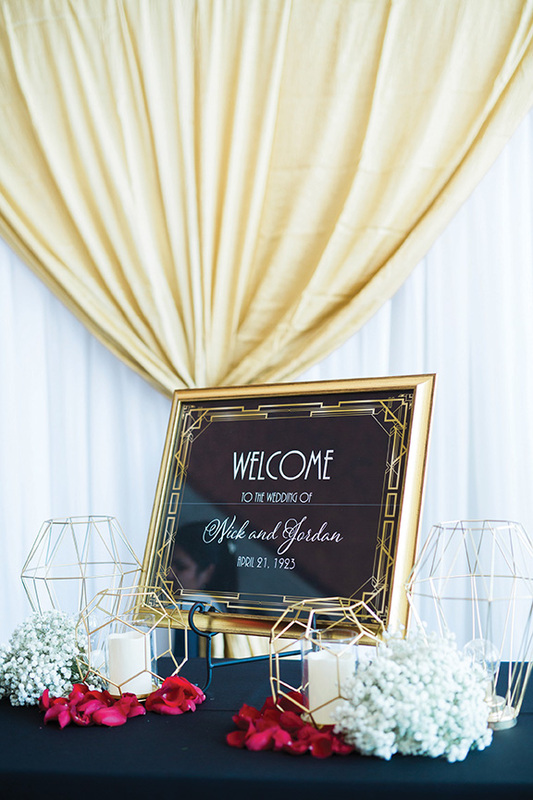 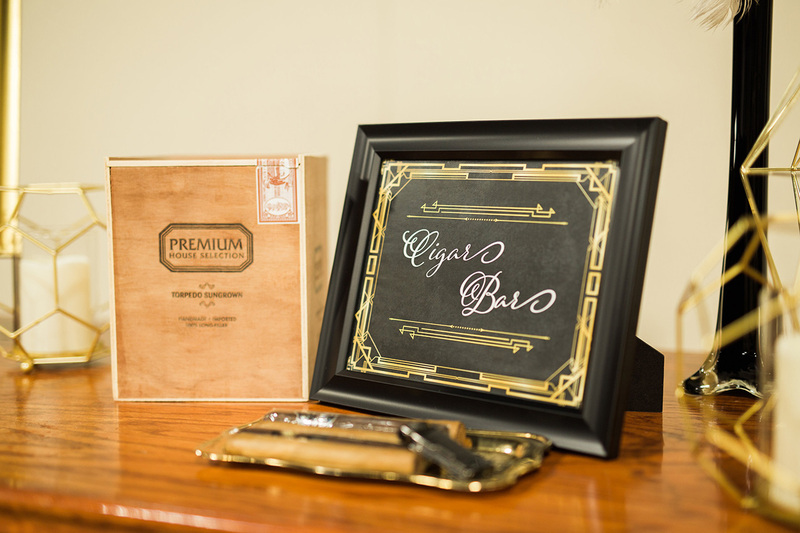 Shimmering fabric in shades of gold and off-white provided the perfect backdrop for the sign-in table, the cake and the cigar bar fit for a mogul. 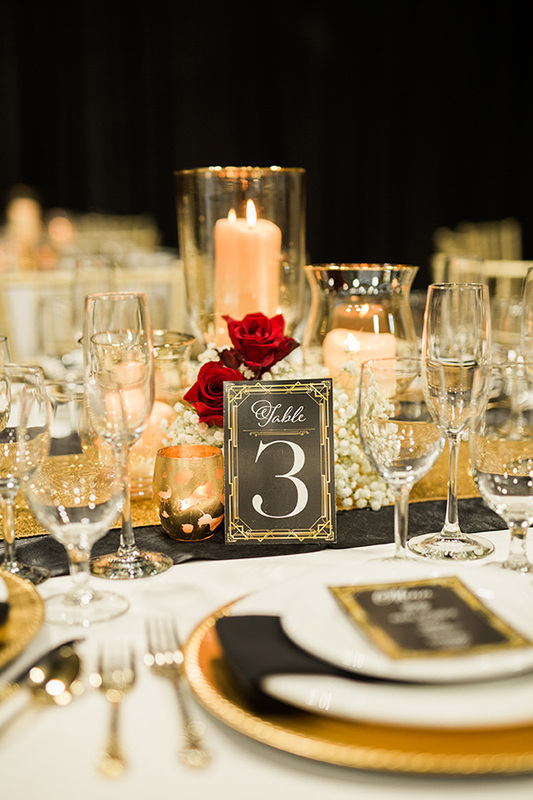 Dramatic black fabric offered a sultry vibe behind a champagne tower and oversized candelabras where guests were seated for dinner. 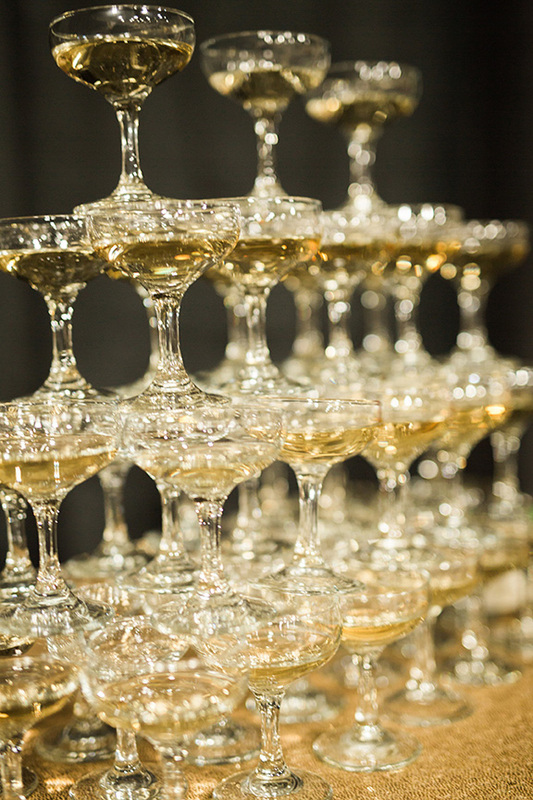 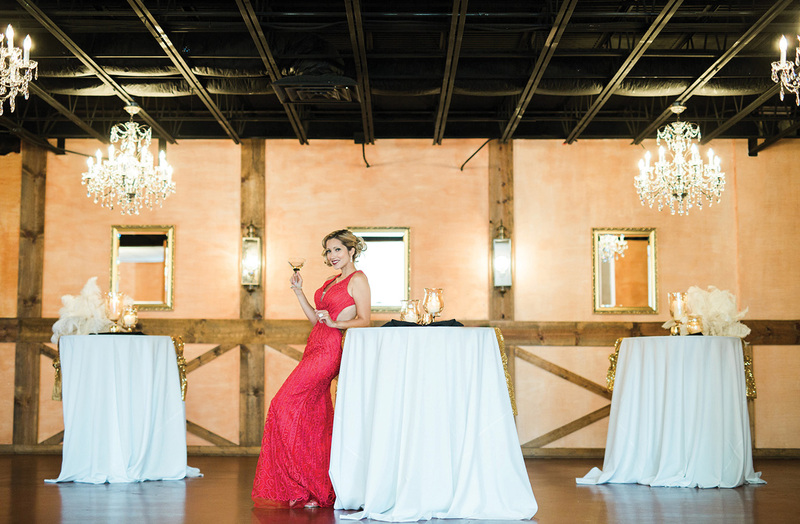 The venue’s chandeliers became the perfect accent to this sparkling evening, providing soft, mood lighting for cocktails and dancing. 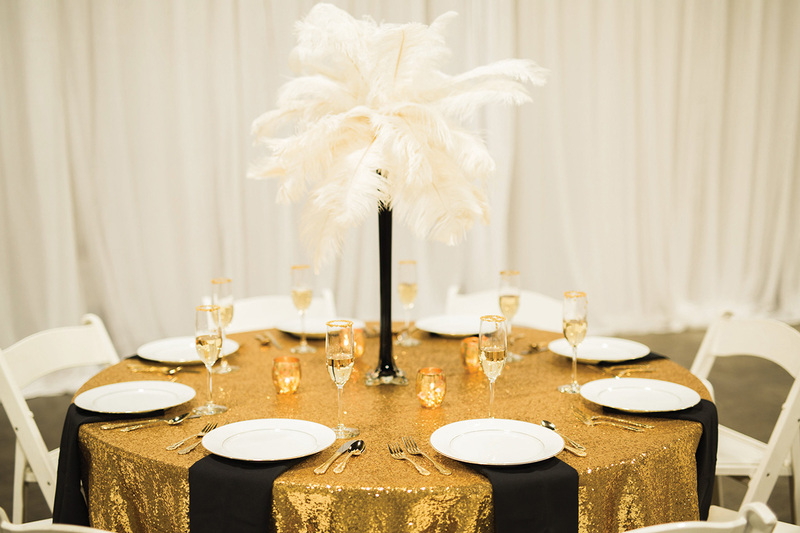 And the bride’s red, reception dress provided a pop of color against white tablecloths and decorative feathers.